PROG ROCK MUSIC TALK: Wishbone Ash's Twin Barrels Burning and Raw To The Bone Released as Official and Remastered Definitive Editions - OUT NOW! Wishbone Ash's Twin Barrels Burning and Raw To The Bone Released as Official and Remastered Definitive Editions - OUT NOW! Twin Barrels Burning - This smoking hot 21 TRACK 2CD set includes the American Remixes of the album on a second disc, which have NEVER BEEN ON CD BEFORE. 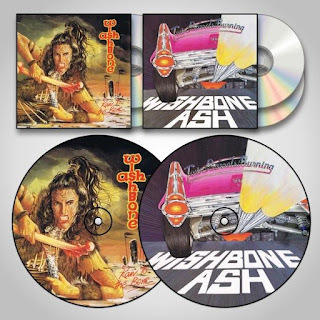 Raw To The Bone - This mammoth 23 TRACK 2CD set has bonus tracks including a HOLY GRAIL for Wishbone Ash fans – ALL FOUR UNRELEASED SONGS from the post-album 1986 SESSIONS. The bonus CD also includes The Friday Rock Show BBC Sessions, which are often described as better than the album versions, plus four live tracks from Hammersmith.